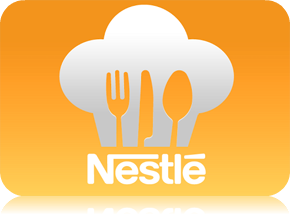 Nestle All Purpose Cream has been a great partner of moms in making creamy creations with a twist. Find good things for you and your family. Good food. Good life. Good health. Inasal is Bacolod's local term for Barbecue. In Iloilo almost all part of the chicken is utilized and cooked as inasal. Grill chicken with a local gourmet twist! 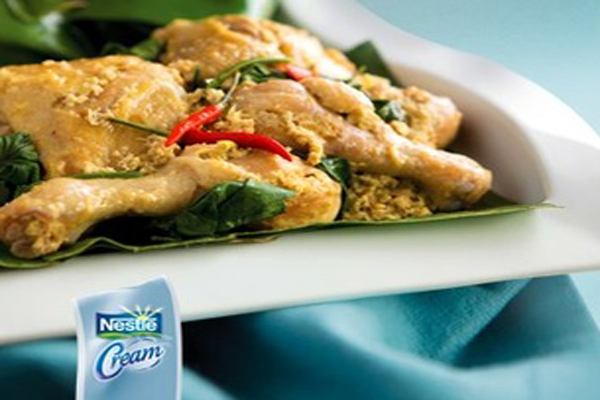 Try NESTLÉ Cream’s Chicken Inasal recipe. 1. Rub chicken with ginger and 1 pack MAGGI MAGIC SARAP. Set it aside to marinate for atleast 10 minutes. 2. Boil te marinated chicken then simmer over low heat in NESTLÉ Cream, remaining MAGGI MAGIC SARAP, siling labuyo and lemongrass for about 30 minutes until tender. When the chicken is tender, discard the lemongrass. 3. Add kangkong and continue simmering for another minute. When the chicken is cold enough to handle, drizzle it with 2-3tbsp of its broth and wrap in banana leaves. 4. Grill over charcoal or an electric grill for atleast 5 minutes on both sides. Serve hot in banana leaves.